Ital People is a resource for Rastafari to share our Ital or Vegan lifestyles. Here's a quick recipe for a Turmeric Tonic that you should take daily - in the morning and before bed, to help cleanse your organs, boost immunity and alleviate digestion issues. It is not completely vegan, so you can change it to suit your needs. Basically, you heat the water and allow it to cool, and then add all the ingredients and stir. If you are using the raw turmeric, ginger or garlic, put them in while it is hot and then sieve them out. Store the tonic in a glass jar if possible. It will last for at least a week. Stir before pouring. 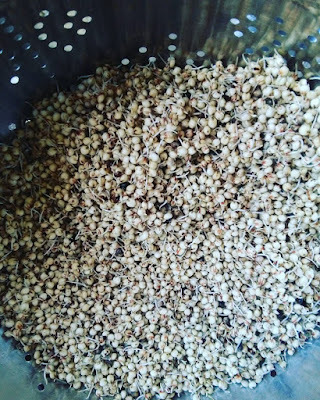 There are numerous health benefits for the brain, heart, kidneys and liver so I really recommend making this tonic a daily routine in your household! Today's recipe is my recent creation, and one that my entire family enjoys every week - which is a rare thing as my children, mostly my daughter, are very picky eaters. 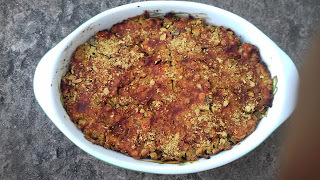 I will be giving two recipes, one for the lentil base which can be a pie on its own, and the other for the shepherd's pie, which is really just the addition of ground provision on top of the lentil base. Now for a big dish you can use 1.5 cups of lentils, for a small dish 1 cup. My big dish is oval at 14x10 inches wide and the small is 10x8 inches wide. They are both 2 inches deep. Soak the lentils in a dish for at least an hour so that they will take very little time to cook. Cook them until they are soft. Remove from heat and throw into the strainer/colander with a bowl underneath to capture the water. Give it a stir or two to get the water out. Finely dice the onion, pimento and chives (or celery as in my pic below, seasons are to your taste). Grate the garlic. Slice the eggplant into circles then cube each layer. Transfer the strained lentils to a large mixing bowl, and using a fork, mash the lentils until it become mushy - do NOT mash ALL of the lentils, just mash enough to make it mushy which will help blend and hold together the ingredients. Add the fresh and dried ingredients, salt, the flour, flax meal and nutritional yeast. Add one spoonful of tomato paste. Drizzle a little oil in. Take the water that you strained off, which would have settled, and pour off the top layer until you get a lentil sludge at the bottom of the bowl. Add this to the other ingredients and stir everything. Grease the pan with a little oil and spread a 1 inch layer of lentils. Flatten with a spoon. Add some more tomato paste for the top layer and spread it all over evenly, then sprinkle more nutritional yeast. Bake at a medium heat on top shelf for about 20-30 minutes. I don't usually go by a time, to be honest, I take out the pie when all around the edges are dark brown and have pulled away from the dish, that means the bottom is brown as well. Allow to cool away from heat so that the pie will firm up. If you allow it to cool all the way it will be quite firm and easy to cut and serve. 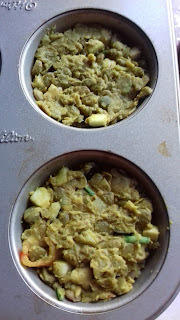 As a bonus, you can also grease a muffin tin and pack the lentil mixture into it to make separate servings. When I do the muffins I smash them and then put it in a sandwich with lettuce, tomato and cucumber. Follow the same method for the lentil pie. You will need potatoes or breadfruit, dasheen or yam for the top. Make a mash potato (or other ground provision) with a little coconut milk, turmeric and salt and butter if you use it. After you spread the lentil base and tomato paste then spread the mashed potato same way. Then sprinkle with nutritional yeast again which replaces cheese. Base same way, take out when the edges have darkened and pulled away from the dish. Cool and then use a knife to carve out serving sized pieces. This is guaranteed to be a recipe you make every week for the family! Perfect for Sunday. Today's recipe comes direct from Afrika, from the Ital Zambians, a group of Rastafari promoting Ital foods and culture in Zambia. Their focus is to build and strengthen the Zambian Ital Community through gardening, farming and preserving the knowledge and use of indigenous foods. "The Ital Zambians initiative was created by the Zambian RasTafarI community in an effort to create stronger links with Italists locally and globally. Our mission is unity. Locally, I and I strive to take Zambian Italists out of their isolation and alienation by creating supportive networks where ones may easily access good food and good company. Globally, I and I aim to share the beauty of Africa with world RasTafarI. We hope to shatter prejudices and erase the stigma cast on the motherland so that Africans in the Diaspora may have a clearer picture of the homeland. We also aim to facilitate visits and repatriations for those who are ready to return home. Our goal is to serve the well-being of all African peoples locally and globally. Our deepest intention is to see all Africans prospering and self-actualising." 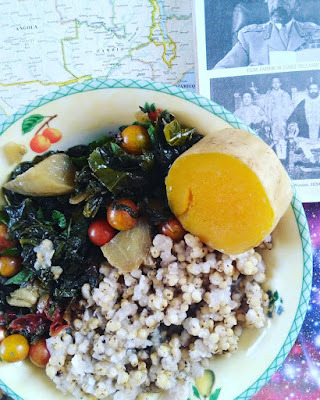 Ital Zambians is sharing their Simple Sorghum Recipe which is "perfect food for athletic people with active, outdoorsy lifestyles." 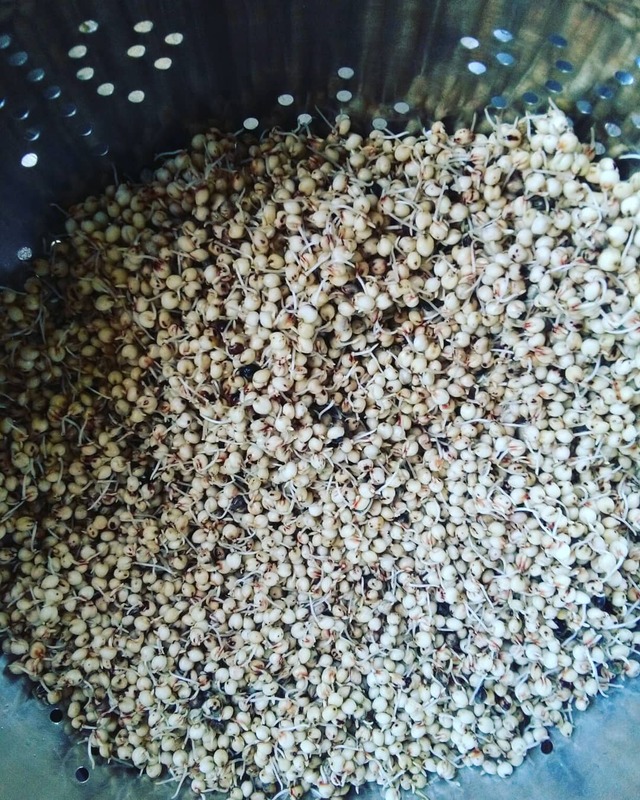 Step 3: Boil sprouted grains in water for 60-75 minutes, until soft. Step 4: Serve with vegetables. 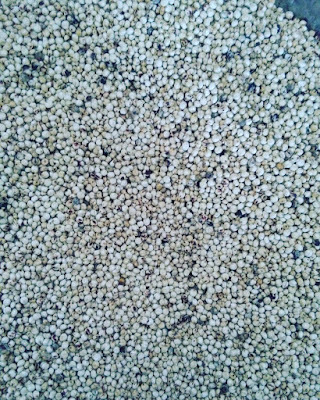 If you are able to purchase Sorghum in your area please do and give it a try! Tag us @italpeople and also @italzambians on Instagram and share your experience! Give thanks to Anna and her community for sharing this with Ital People! I look forward to more recipes and pictures from Zambia. Rastafari around the world should definitely connect and share the works and livity. Email me at italpeople@gmail.com to share your message and ital recipe! 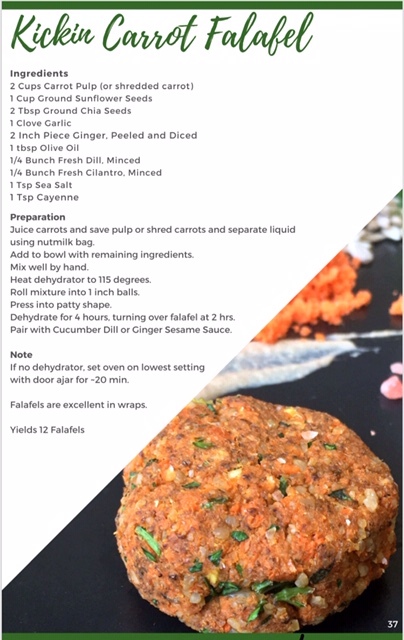 Starting 2019 with a Kickin Carrot Falafel recipe donated by Sistren Mariah Grooms aka @blended_sol on Instagram → Make sure to follow her page for mouthwatering pictures that will inspire you to keep up the Ital Livity! She offers lots more so make sure and check out and support her Ital services on the site. 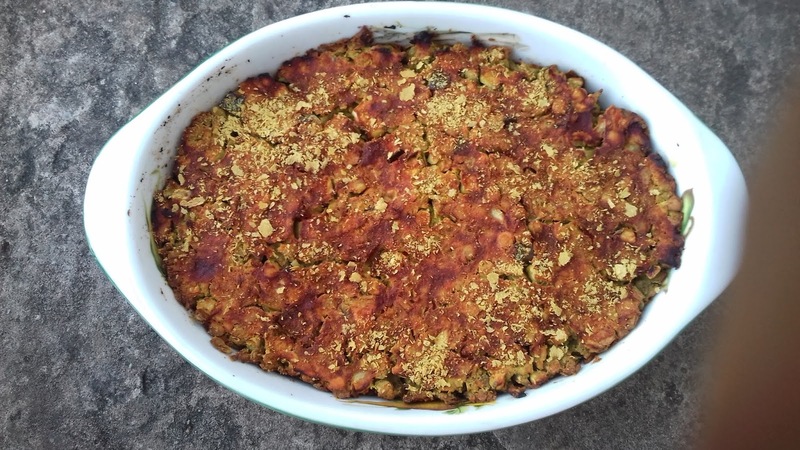 If you try the recipe out, please be sure to leave a comment and let us know how it went! 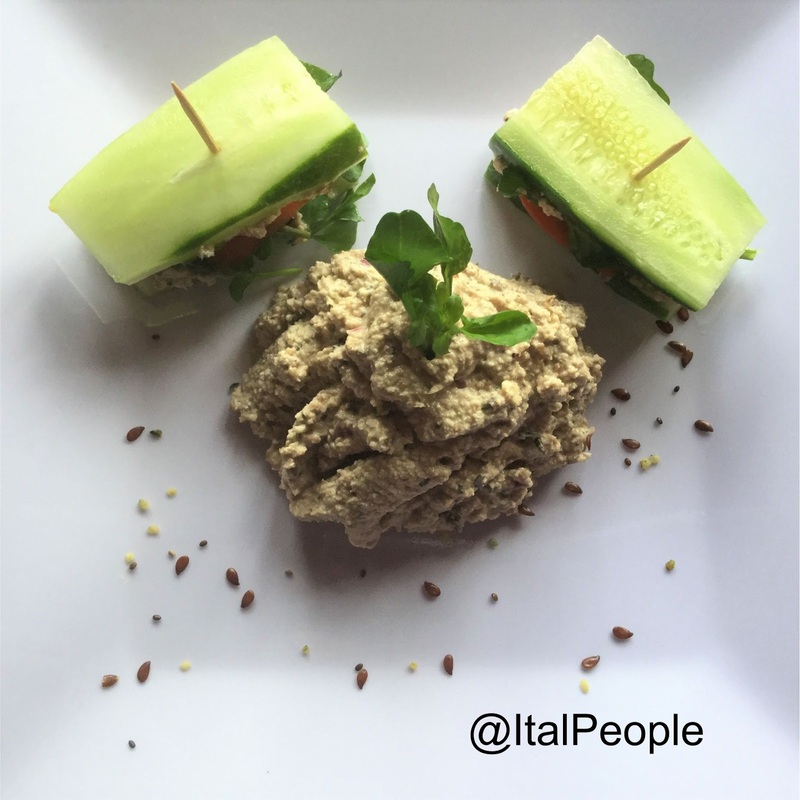 Also tag @italpeople and @blended_sol in your posts on Instagram so we can repost your Kickin Carrot Falafel as well! I hope more of you will donate recipes to the Ital People blog so we can really share our Ital creativity for the benefit of the collective! I saw a few recipes online talking about "Taco Meat" using walnuts and it interested me. This recipe is not like the ones I saw because they included ingredients like sundried tomatoes and whatever else. 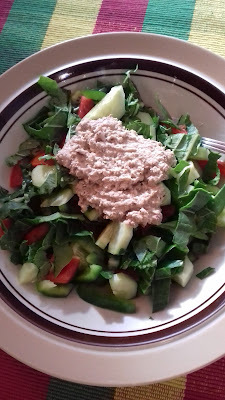 I decided to just use my usual go to ingredients for practically everything I make and was pleasantly surprised by how DELICIOUS this nut meat (or paste) is!!!!!!!!! I love it combined with the flavours of cucumber, tomato and watercress especially. Trust me, it's worth a try! It is now my favorite salad dressing or salad companion and tastes great with chickpea crackers (recipe to come for those) or in a sandwich with chickpea patties. Honestly because of the lime and red onion flavour boost, it tastes just like tunafish! I am serious - although it has been so long since I had tunafish that me saying so is pretty laughable. Still it even looks like it. So instead of making tuna sandwiches, whip up a batch of this walnut paste and fulljoy! Now the key to this recipe is not to over-blend so that it is fine and grainy but not too chunky. It is best to use a mini chopper, a food processor or the small cup of the Nutribullet. You want to pulse for a bit and not blend it too long. To get the full seafood taste add a dash of Braggs kelp seasoning or other seaweed. Grate the clove of garlic and chop the onion and chive into smaller bits to help blending. Drain your soaked Walnuts and combine everything in blender cup. Pulse ingredients in mini food processor or blender until a coarse yet fine texture arises, do not add more water or allow it to become creamy. The aim is to blend until everything is broken down into bits. Using the Nutribullet blend until it stops moving, remove, shake everything to the bottom and blend again two more times and that should be fine. Store in a glass jar and consume within a week. The more lime and onion the nicer the flavor. It's a great addition for those who are seeking to eat more raw meals daily. Try the salad! If you want to make the cucumber sandwiches as shown below, just slice some cucumbers into long thick slices, slice some tomatoes into circles and add a few sprigs of watercress. Spread the walnut paste onto the cucumber then layer with tomato and watercress. For breakfast for my kingman I make a sandwich with the walnut paste, a chickpea patty, tomato or cucumber. He loves it as do I. Please tag me on Instagram @italpeople so I can share your pictures if you try this versatile delicious, recipe. 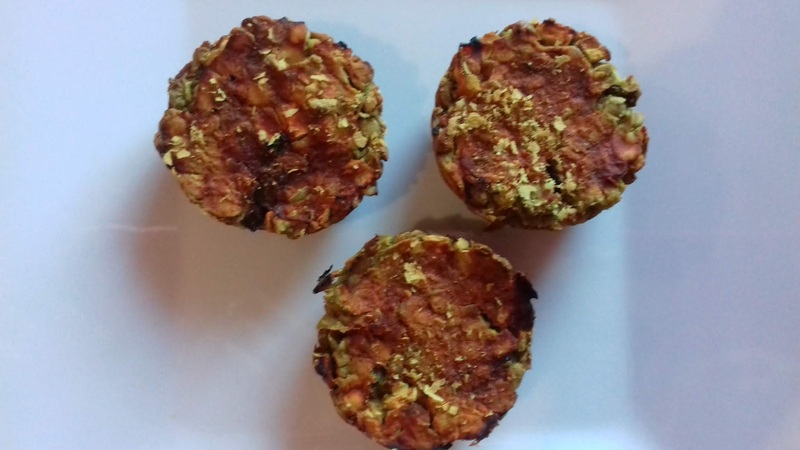 These “falafel” can probably better pass as vegan “chikn nuggets” or veggie nuggets - I'm not really sure what they should be called :p - But they are delicious none the less! I especially find them more enjoyable on the second day, lightly toasted. I enjoyed them with oven baked vegetables and sauteed sweet potato slices. The recipe I came up with is very simple and won't take up too much time in the kitchen. 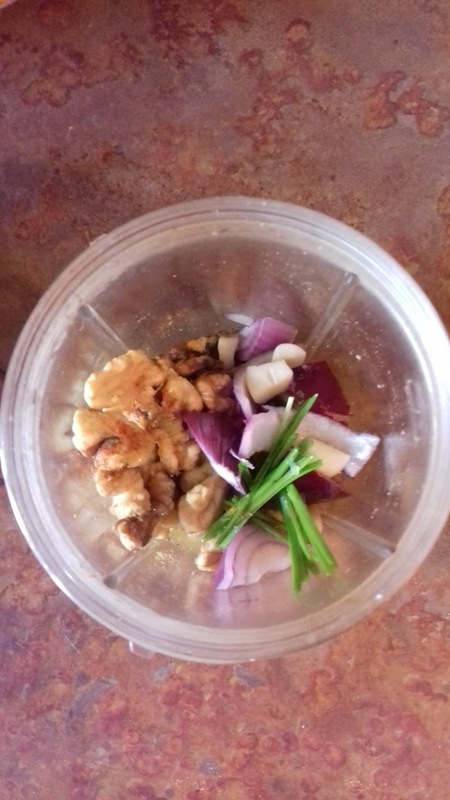 Blend shadon beni, onion, garlic, pepper, chives, parlsey and place in a bowl. Blend the cooked chick peas with no liquid. Place in bowl with seasonings, flour, salt, turmeric and cumin etc. Mix well. Form into small balls and flatten and round edges. Fry on both sides in oil. I personally don't like fried food besides the occasional plantain, but I knew the effect would be lost if I baked these. However, baking is worth a shot and I will try it next time to compare flavor. Tell me what you think if you try it! This recipe started out as a soup but once everything cooled – which is a must when eating soup because that’s when the flavors appear – the liquid disappears leaving a sauce. The rice noodles basically soak it all up. But never mind, it’s still pretty delicious and with slices of avocado, it’s pure heaven! The flavours of ginger and rosemary carry it to a whole other level and make it so enjoyable! Pack of rice noodles – use half. Because this is an Asian-inspired dish make sure to slice everything in long lines. Cut the onion in half and slice making little half circle strips. Slice the pepper in thin circles. Also slice the shadon beni in lines across. Grate the ginger and garlic using the big holes. Cut the tomato into small cubes. Put these seasonings in the pot and throw in some oil – sesame or regular cooking coconut oil would be fine. Prepare the vegetables by peeling and washing them. Slice the chocho, carrot and cabbage in a way to make long lines of the vegetables. Cut the broccoli into small pieces as well. Heat the seasonings and oil and sautee them for a minute before adding water. Then add the salt, powdered cumin, paprika, turmeric, Italian seasoning and dried basil – or any other seasonings you like. This forms the base. When boiling add the rice noodles and allow stir in, then drop in the vegetables. Allow to cook for five minutes and add a few dashes of nutritional yeast, powdered coconut mylk (about 1/8th cup if using liquid) and a spoon of tomato paste. Also pick the needles off your fresh rosemary and drop them in. Allow another few minutes of cooking, cover and allow to cool. I took the cover off of mine to allow it to cool as I usually do with my soups and this is probably why the water dried out, so maybe only put the cover on part ways to preserve your liquid if you wish to have it more as a soup. I hope you enjoy this as much as we did – one pot meals are a favourite in my kitchen so this was definitely a win! If you wish to share your recipe with the RasTafari community, please write it in a similar format as shown here and email it with your pictures to italpeople@gmail.com. Health is Wealth let I and I share that with one another! Works/pictures by Micaela "Ila Addis" Walker unless otherwise stated. Simple theme. Powered by Blogger.